With all the planning that goes into a wedding, it's hard to appreciate how much having good music goes toward having a good wedding. I know for sure that my wedding would not have been the party it was (and it was a party in a major way) without Love Junkies leading us that way. I and most of my guests spent the majority of our time on the dance floor. In the months before the day, Jon was very helpful in getting us to define what kind of experience we wanted to create for our guests. This in turn helped us with the vision we had for our wedding, the effort of thinking of music influencing all the others. He was affable and professional and remained so at the wedding. Bonus. There were some sound system issues at our venue that the venue was not prepared to deal with. Jon was unflappable, quickly fixing them, disaster averted. All in all, I highly recommend Love Junkies. Jon is amazing! When we started planning our wedding, there were two things that were super important to us-- food and music. When we found Jon, we knew we were in good hands. He took the time to meet with us and really get a sense of what we were looking for (mostly soul and then contemporary dance tunes). He was thorough, flexible, and extremely professional. Everyone was on the dance floor, and at the end of the night, our friends started chanting "one more song!" which was very fun. We felt very safe with Jon, and we just knew that he was going to do his job and do it well. Whole-heartedly recommend him to any wedding couple, especially those who stray a bit from the mainstream wedding playlist. Jon is an amazing wedding DJ. He is both detail-oriented and creative. We knew we wanted a fun reception, but didn't know how to organize speeches, dances, and all the other moving pieces. We gave him our vision, and he was able to make everything flow smoothly. Since we planned this wedding from a distance, communication via email and FaceTime was paramount. Jon was constantly in contact through both media, and answered all our questions quickly. We would highly recommend him. Jon was such a joy to work with. He was very well organized, offered some great suggestions and even helped us with getting the floorplan right to accommodate different age groups. He was the easiest and most professional of all our wedding vendors. Couldn't recommend him highly enough. If you want a party where people are going to be dancing, hire Love Junkies. It was literally one hit after another and we and our guests had the time of our lives. Jon was great to work with leading up to the wedding, he takes your list of do play and do not play seriously. He listens to and contributes to the vibe you are trying to create. He also cut down both our first dance song and the father/daughter dance to a perfect edit. The best part about Jon is his knowledge of music. From Motown to 90s hip hop Jon is an expert in it all. If you are also a music junkie, and music is important to your wedding experience, I don't think you are going to find a better DJ. Now we just need to find another reason to have a party so we can hire Love Junkies again. Jon DJed our wedding June 18, and we could not have asked for a better experience. We found Jon through a wedding we attended in October 2014. That night's dancing stuck out to us, and we immediately looked him up when it came time to plan our celebration. We had several conversations with him (both on the phone and in person) in the months leading up to our wedding. Jon reached out to us with a editable google document, and had us pick the focal point songs (first dance, father-daughter, mother-son)as well as any and all songs we'd like to hear throughout the night. The template suggested naming a few songs for dinner, a few for family dancing, and a few for the later-night DANCING dancing. We listed waaaaaaay more. The most important, must-play songs were typed in bold, and the non-bold songs were suggestions and if they didn't specifically get played, he played songs with the same vibe. For the special dance songs, we had a good discussion with Jon to work out some of the details. When we were deciding which song we wanted to play to get everybody to join us on the dancefloor, Jon pointed out our initial song took a little while to build energy, so we thought it over and picked another. That sort of active participation in the planning was very reassuring and very appreciated. In the end, I think we picked the perfect song for that particular moment in the evening. The edits he sent us for "our song" were perfect, and he sent multiple edits of most songs so we could choose. The day of the ceremony went off without a hitch. All the preparation, google docs and phone calls paid off. The music was fantastic all evening, and Jon does most of his work in the background, keeping the focus on the couple and the celebration. We knew we wanted Jon at our wedding after we had so much fun at another wedding he DJ'd. We live in the UK so we Skype'd and emailed throughout the year. We made a Spotify playlist of songs we wanted to hear and Jon did an amazing job of putting dance sets together, the transitions and song choices were perfect. There was great energy all night! Everyone was dancing the whole time and they all told us they loved the music! Our wedding was amazing, we can't thank Jon enough for all of his talented work! Highly recommended. We hired Jon for our wedding in June and he did a great job. From the moment you meet him you'll see that he is organized, thoughtful, and extremely knowledgeable about music. He also is very helpful in terms of planning and thinking about how things should work, which is extremely valuable if you're doing most of the planning for your wedding. He was exactly what we wanted from a DJ - he only goes on the mic when necessary, has a good sense of how to read the room, and mixes music together very well. Jon is very talented and an absolute pleasure to work with, so you should definitely hire him for your wedding. I highly recommend using Jon Oliver! He was very easy to coordinate with and worked with us to compile the playlist/genre of music for each part of the wedding/party. He is very responsible and responsive, setting up and running everything perfectly. Thanks Jon! Do not think twice - hire Jon for your wedding!! He was an unbelievable help in making our wedding so amazing!! Seeing everyone literally rush the dance floor was one of the best parts of the night and he really kept the party going. To top it all off, he kept everyone on track through the speeches, first dance and parent dances, etc - it was SO helpful to have someone so organized!! It was so so so great to work with Jon - he was professional from start to finish and always immediately responsive. We feel lucky to have found the perfect DJ for our wedding!!! Jon was absolutely fantastic! All our guests kept coming up to us and remarking how great the DJ was but that was something we knew would happen after hearing him spin a few months before hand. Not only is Jon an amazing DJ who had us all on our feet all night but he is extremely responsive, organized and professional. Having never been to our venue before he went a few months before hand to check it out and get a lay of the land which we greatly appreciated. He also sent us a spreadsheet to help us better convey to him our taste in music and followed up with a call the week before the wedding to make sure we were all on the same page. Both my husband and I couldn't be happier with our decision to go with Jon. Jon was SO incredible at our wedding. I am very type A and an actor with strong opinions on music, and I asked for quite a lot. I handed him a laundry list of songs to use and he somehow made all these different genres and types of music work together seamlessly. Nobody stopped dancing. To please a combination of musical theater actors, Brooklynites deep into the music scene AND our older relatives is truly a feat that should not be underestimated. Afterwards, numerous people complimented the playlist and asked me for it. Additionally, he is kind, responsive over email and extremely professional and easy to work with. There is so much to worry about as a bride, hire Jon so you can cross music off your list and not worry about people having a great time. We loved everything about our wedding night, especially the music! Jon played everything from our favorite motown to Lauryn Hill and The Strokes. He's able to feel the crowd and just knows what to play next. It was incredible and everyone had an amazing time dancing - truly, couldn’t have been better! I would recommend Jon to anyone looking for a really amazing wedding DJ and I know everyone who was at our wedding would agree! Jon was absolutely incredible to work with. From our initial correspondence, he was friendly, very punctual, and professional. After we established that he was available on our wedding date, we scheduled an in-person meeting (he was very flexible, came downtown to meet us in our neighborhood) and treated us to coffee while we got to know each other and talk music, style, vision, etc. We immediately felt comfortable with him and quickly realized his deep love for music and approach to DJing as an art form. The following day, we signed the contract and soon after Jon sent us a comprehensive Google spreadsheet that we used over the course of 10 months to map out our music setlist for the entire wedding (it was awesome to have the spreadsheet via Google so that we could communicate and collaborate in real time). Two weeks before the wedding, Jon came over to our apartment to go over the spreadsheet, top to bottom, taking notes about special requests, and making sure he had the names of all family members correct. He mentioned that couples often shorten the first dance, Mother/Son and Father/Daughter songs and he had edits of all of our songs within 48 hours (and 3 subsequent edits of our first dance song, he worked with us until it was just right). On the day of the wedding, Jon arrived early, was set up and ready to go with time to spare. He had the perfect amount of presence on the mic and, most importantly, kept the dance floor full the entire night (from 5 year-old nephews to grandparents). It was quickly evident that Jon has a knack for reading a crowd and playing an excellent range of music that makes people want to get up and dance (and stay dancing). We can't say enough about Jon, his professionalism, cool vibe, and services. He is a very special DJ and we're so happy we had him as a part of our special day! We are so happy we booked Jon of Love Junkies to DJ our wedding. We wanted a casual but lively party and he delivered exactly what we were looking for. We worked with him on a spreadsheet of what we hoped for and met with him a couple of times, and from that he was able to create a party that was perfectly timed and totally appropriate for us. It was also important to us that we avoided cheese-y nonsense and he is not that type of DJ at all--totally laid back dude, really professional, stays off the mic unless you need him to announce things, and someone you feel totally comfortable handling what is arguably the most important part of the wedding. Our guests danced all night and everyone commented that our music was awesome. Best wedding decision! We chose Jon Oliver (Love Junkies NYC) for our wedding and our experience was UNFORGETTABLE! Jon was absolutely AMAZING to work with. He is professional, highly organized, extremely sophisticated with an artistic feel for music and at the same time down to earth and approachable. You can tell immediately that he really knows his field extremely well. He is aware and sensitive to all types of cultural and religious backgrounds and wonderfully responsive and knowledgeable having worked with many different types of couples and wedding crowds. 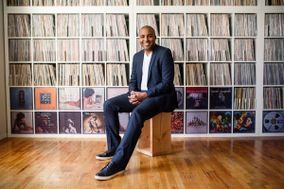 He guided us throughout our wedding planning process and was an exceptionally helpful resource in creating a song list, structuring the evening and troubleshooting potential pitfalls. My bridesmaids had planned a slide show with music and unfortunately our venue was not very helpful at assisting them to plan their presentation. Jon jumped in immediately – explaining how the audio set up should be, running their slides before the reception and making sure everything was perfect. He had an extremely good feel for our crowd and knew exactly when to play the right tracks that people would love. There was not a single awkward moment all night and people were on the dance floor until the evening was over. Jon made the transitions between segments incredibly smooth so that nobody noticed them. We received a ton of compliments throughout the night on how “the DJ is really killing it!” and we could not have been happier with that!! We would chose Jon Oliver anytime again in a heartbeat and highly recommend him to any couple looking for an expert!! We are so happy we were able to have Jon DJ at our wedding. The wedding planning process can be really stressful and you thank your lucky stars for each vendor you find that is friendly and easy to work with. Jon was amazing from the get-go. Very friendly, easy-going, responsible, and responsive. We had a few meetings with Jon before the wedding day, and he really made it easy on us by offering to come out to our neighborhood to talk about music. Jon is very knowledgeable about music and about the flow of weddings in general, and was therefore able to offer us advice about timing of different types of music, toasts, etc. Jon kept the party going, and people happy and dancing. I definitely recommend him! Jon was fantastic and we highly recommend him. He listened to what we wanted and met every expectation. 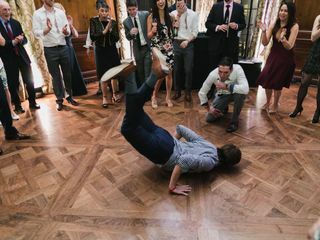 Our party was a bit of challenge in terms of striking the right balance with the music (we had a cocktail party to celebrate our marriage and wanted an upbeat vibe that didn't cross to far into dance music) and he immediately understood what we needed. We witnessed Jon's work at a friend's wedding and we knew he would be the right DJ for us. We’ve been to countless weddings with DJs who try to steal the show with stand-up comedy and laser beam light shows. Jon is the complete opposite of that, which was exactly what we were looking for. His minimal equipment, casual demeanor, and strong knowledge of music were perfect for us. Jon was great to work with, very flexible and responsive. On the day of the wedding, he was well-prepared and read the crowd beautifully to keep the party going. We highly recommend Love Junkies NYC! We could not have been happier with Jon: he was thorough, professional, and at the end of the night- got every single person on the dance floor (which is saying a lot, considering we had a wedding of 35). If you have no idea what music to choose- Jon even suggested getting together pre-wedding to just listen to music and figure it out. My husband and I had pretty specific requests, and Jon checked off every box the day of the wedding. Amazing service, cool guy. I couldnt recommend him more! 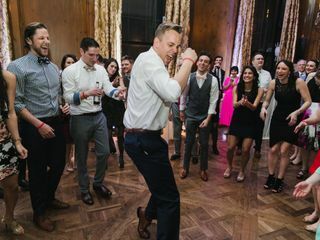 If you want to throw a dance party during your wedding, then Jon is your guy. We had a hundred sweating people dancing their faces off for over two hours straight because Jon absolutely killed it. Seriously, we cannot recommend him highly enough. Outside of his perfect performance on the day, he was a joy to work with, incredibly nice and courteous, and highly prepared. He was immediately responsive and had great communication. He arrived at the venue super early and played the set exactly as we wanted all while giving us great feedback about our list and songs.